LaVieEstBelle: [BEAUTY] Urban Outfitter is Racking Up Beauty! [BEAUTY] Urban Outfitter is Racking Up Beauty! Being the women's accessories Team Leader at Urban Outfitters, and processing a lot of shipment, we have been receiving TONS of beauty products. I've tried some, smelled some, and own most of these. Most people don't know that we do carry these products, so I felt like sharing some. I've been very curious about the Per-Fekt brow fill, but haven't gotten around to purchasing it yet. It'll likely be my next by, so I'll keep you posted. The colours in the Stila palette are perfect neutrals for every day looks. The Rosemary Mint soap smells absolutely amazing! You almost want to take a bite out of it. 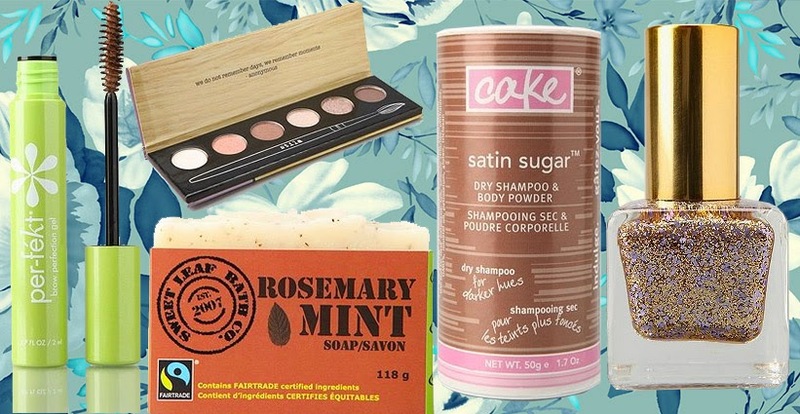 I've been using the Cake Satin Sugar dry shampoo for quite some time now, it smells marvellous and it has a brown tint to it with is perfect for my hair colour. I absolutely love the combination of the gold with the purple glitter in this nail polish, but we haven't gotten it in yet, hopefully in the next few weeks!